Book directly with us for the Best Rates + Tours, Adventures and the Blue Lagoon ! Please scroll down for answers to frequently asked questions about the hotel and visiting Iceland. And contact us to know more. Northern Light Inn & Max's Restaurant are just before the Blue Lagoon, 20 minutes from Iceland's International Airport Keflavik KEF, and 45 minutes to Reykjavik. Northern Light Inn is a family owned and operated hotel, with 42 quiet and spacious rooms, cozy Icelandic down comforters, comfy beds, hot geothermal showers, direct dial telephones, satellite TV, and free hi-speed WiFi throughout the hotel. A grand fireplace, many relaxing sitting areas, 24/7 Honesty Bar, a panoramic Galaxy Tower, Wellness Spa, Aurora Floating & Fitness Center will add to your Northern Light Inn experience. The Fitness Centers is complimentary to all our guests, and the Spa has a modest per day fee for those booked in regular rooms. Room Rates are per Room Occupancy. Deluxe Room Rates are per Room. Room Rates Include: 11% VAT taxes, national taxes and service charges. Buffet breakfast, WiFi internet everywhere, 24/7 coffee, teas, hot chocolate, and every afternoon make-your-own waffles with Viking's whipped cream and jam. Buffet breakfast, lunch, and dinner are served in panoramic Max's Restaurant & Lounge. From the fjords and fields of Iceland, Max's offers the best foods we can source, whenever possible. Swimming at the nearby Blue Lagoon now requires advanced booking. Please let us know when you would like to swim and we'll gladly book it for you. The Svartsengi Geothermal Power Station is next door, providing hot water and electricity for the region, the Blue Lagoon, and us. Clean steam billows 24/7 and sometimes has an "onsen perfume". It is not smoke, but extra steam produced when harnessing renewable energy. Boreholes for this natural source of energy dot the vast moss covered lunar landscape around us. The hotel is smoke free. We have designated smoking areas outside. The Northern Light Inn is your gateway to discovering Iceland and experiencing Nordic hospitality of a different kind ~ we hope to see you soon! Fraudulent online booking scams do exist ~ please beware. What time may I check-in / check-out? If rooms are available, these times may be modified to your travel schedule. Yes, we have been specifically created for handicap accessibility with universal design principles. With our exclusive AIRPORT TAXIS, we offer a fast way to get to the hotel for the lowest prices anywhere. 1-4 passenger costs 5,000 kr per Airport Taxi, One-way, all inclusive. 5–8 passengers costs 7,000 kr per Airport Taxi, One-way, all inclusive. Your AIRPORT TAXI driver will have a sign with your name, in the KEF Arrivals Area, after customs, arrival area, on the left as you come out. Your comfortable drive to the hotel will take approximately 20 minutes. Our Special Aiport Taxi Rates are 1/3 off regular prices – we pay the difference. Our Special Airport Rates are offered per booking, and Valid only for Airport Taxis. These prices are ONLY available IF booked and paid directly through us. We will gladly book you a personal Airport Taxi at any time, at our discounted rates. At the hotel, please reserve your departure taxi the night before, preferably by 23:00. Reykjavik Excursions–RE, has scheduled buses from the Blue Lagoon to KEF airport. We are geographically almost 2 hours behind GMT, but for some unexplained reason, we adopted GMT as our time zone. We do not have daylight savings time, because time cannot be saved. Icelanders have a different sense of time, which you will understand, hopefully, in time. Anytime! But off season is best. Is it dark for 6 months of the year? It takes 6 months to get dark, and 6 months to get light, from solstice to solstice. It takes 6 months to go from almost 24 hours of daylight to almost 24 hours of nighttime. Every week there is circa 3/4 of an hour difference in the amount of daylight. The rate of change varies thought the year, faster around the equinoxes, and slower near solstices. Although the winter months have short days, the hours of winter light are really beautiful and magical. Twilight lasts for many hours, not minutes. Believe it or not, Iceland has 2 hours more daylight on average than Miami or Rio! When is the best time to see the Aurora, or Northern Lights? When we have night, from September to mid April. For more Aurora info please click here. When is the light the best in Iceland? The northern arctic light in Iceland is very special all year. It is sparkling clear, contrasty, with intense crisp colors, unlike any other place on earth because of the minimal amount of particles in our clean air. Photographically, March, April, September, October are favorite arctic light months. What kind of light you like, how much of it, and how early or late in the day do you like your daylight? Where on the compass do you prefer it to rise and set? This may be hard to imagine, but the sun does not rise in the east nor set in the west in Iceland, except during short equinoctial periods of the year. It shifts on the horizon every day: for 6 months it shifts north, then for 6 months it shifts south. In the winter, it rises SSE and sets SSW, but in the summer it's NNE to NNW. There is an Icelandic reality, or solution to everything. What is the weather like? But really how cold is it in Iceland? The weather is, well, like the people... the sun shines when God decides. It's always exciting, energizing, dramatic, and very unpredictable. If you don't like the weather, wait a few minutes, and if it gets really bad, go jump in the Blue Lagoon. We are fortunate to have a cool maritime climate, which is not very cold considering how far north we are, thanks to 2 branches of the Gulf Stream enveloping us. The mean annual temperature is about 5º C (41º F), without many highs or lows. It's rising quickly due to global warming and politicians doing nothing about it. Days without wind are unusual and the wind chill factor can make you feel like an extra in an apocalyptic ice age movie. Speaking of wind, do not bring or try to use an umbrella in Iceland, its useless. For photographers, Sam Abell's axiom 'bad weather makes great pictures' always applies. Iceland is green most of the year, while Greenland is as icy as you would expect Iceland to be. Don't ask why the name switch; it's a Viking outlaw's semiotic hustle - Eric the Red, aka the 1st New World Spin Doctor, parsed a humongous ice sheet into a green land. At the time of settlement, there was global warming, so now the period between 800 ~ 1200 is being renamed the "Warm Middle Ages". It is easy to understand that when the the original explorers, settlers and farmers of the Viking age came here, sailing northwest from the Faroe Islands, they first saw a mass of ice glistening above the sea's horizon, Vatnajokull Glacier, the largest in Europe. Iceland, right? Eric the Red was exiled, for having bonked one too many men, and he sailed South West, discovering a endless green coastline extending over around massive fjords of southern Kalaallit Nunaat. With marketing finesse, he called it Greenland. Of course we do have our share of great glaciers, including the magnificent Vatnajökulsþjóðgarður National Park (Water Glacier National Park0 which goes spectacularly from the south coast through the country to the north coast. It is Europe’s largest national park, and thanks to its glacially preserved roll-off-the-tongue naming, one of the best kept secrets in Iceland. Foreign smartphone weather apps and blingy weather sites do not show local micro climates that can be life threatening, or perhaps a spectacular opening in the clouds for seeing auroras. And click here to see an exquisite visualization of winds and currents. You can see the Aurora Borealis from our from door, The Galaxy Tower, the patio, anywhere around the hotel, and sometimes from your room! From the end of August until mid April, when there is night. Space weather conditions permitting. For unexplained reasons, it is frequently extra special during the weeks before and after both fall and spring equinoxes. Winter months with snow add a luminosity that is magical. Prime time is 21:00 ~ 24:00, but it can be earlier or later. It's not possible to predict the exact hour or location, only the probability of something happening, and possibly where on Earth at that time. Click here for the Auroral Kp levels now. The image you will see is not the Aurora, but the % possibility of Auroras, based on magnetic disturbances of earth's shield. Green does not mean "aurora" just the possible;ity of it. Red is extremely likely. Click here for the current space weather. Warm layers, casual and comfortable, weather-proof clothes. Windproof & Waterproof. Wool and fleece garments are highly recommended. COTTON IS NOT: it is dangerously cold when wet. If you find yourself without what you need, warm clothes can be easily purchased in any town, and the essentials in most gas stations or supermarkets. Please wear sensible shoes: weather proof hiking boots with gripping lug soles at all times. Leave your Manolo Blahniks and Leboutins home. Icelandic terrain is very rugged lava and other raw volcanic emissions which are all rough, tough and loose. Moss and lichen grow on lava. Both can be slippery, especially when wet – which is most of the time. Icelanders, like Japanese, always take off their shoes when entering a home. If you think about it, it makes so much sense, just so civilized. Neh? ALWAYS bring a bathing suit with you, because no matter how bad the weather, or precisely because of the bad weather, there is always a geothermal hot pot and heated swimming pool nearby. A team of Icelanders who love traveling – Vikings have been travel pros for the last millennium – created the search engine DOHOP which includes Icelandic travel possibilities not found elsewhere. We like Momondo and also KAYAK, Mobissimo, Adioso. EASYJET now flies to Iceland, and every season, more and more airlines are coming. You can also travel by sea with Smyril Lines ferry, or Eimskip cargo ships. How do I get to Northern Light Inn from the airport? With our exclusive Aiport Taxi, just 5,000 kr for 1-4 passengers, One-Way. That's1/3 lower than normal fares! Read more about Airport Taxis here. Reservations required with us for these prices! What is the best way to get to the airport from Northern Light Inn? With our exclusive Aiport Taxi. Reservations are required directly with us for these prices. Please book the night before, by 23:00.
International flights fly from which airports? Most international flights to and from Iceland use Keflavik International Airport, also known as KEF, or Leif Eiriksson International Airport, and confusingly sometimes called Reykjavik airport. Reykjavik City Aiport is different, for small planes, and right in the city. Flights to and from Greenland use the both Reykjavik City Airport, RKV, and now KEF. Reykjavíkurflugvöllur, if you can pronounce it! Greenland is a wonderful autonomous country within the Danish Realm, but not part of the European Union or Schengen Zone, and the largest "European" country in Northern America, specific visa rules may apply. Some airlines are now flying into Akureyri in the north and Egilstadir in the far far far east. How can I get to the Northern Light Inn from Reykjavik? We are a 45 minute easy drive from the city. Click here for a driving route map. Take the Blue Lagoon Express from BSI bus terminal in Reykjavik and tell the driver you are going to the Northern Light Inn. If they can, you will be dropped off at the hotel – or at a regular pick up point and we will come and get you. Call us before you leave. Check for special offers, like Round Trips with with Blue Lagoon entrance fee included. The roads are like the people: rough, unpredictably icy, sometimes very narrow, but they will lead you to great places. We drive on the right, and most other European rules of the road apply. Icelandic roads can be unpredictable, slippery and dangerous. Please repeat this mantra every time you get in a car in Iceland and you will have a great trip. Your lights, or head lamps, MUST be on at all times, by law. And it's really much safer. Drinking and driving is stupid and dangerous; please don't. Not even a little sip. Using a cell phone is just as bad, but there are a lot of streaky blond jeep jerks, multitasking soccer parents in SUV's, and unprofessional truckers and cabbies on the road who still don't get it. Because there are so few of us, Icelanders tend to drive as if we are the only ones on the road. Beware! SOS • EMERGENCIES • Dial 112 for any emergency in Iceland. READ THIS for safe travels courtesy of the extraordinary Icelandic Search and Rescue Team. Before you get in your car and have to dial 112 to rescue you, check the Road Conditions Now. Although there is just one ring road and lots of useless freebie maps, the unusual and fascinating Iceland Road Atlas is packed with anecdotal information for almost every road in in the country. It's not really an atlas, nor a map or guidebook per se, but a super roadblock to enrich your experience in Iceland. 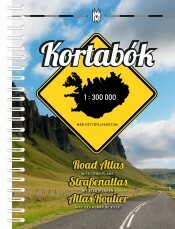 The most useful map in the car and essential companion to the Iceland Road Atlas is the KORTABOK, beautifully designed by Hans H. Hansen, on a scale of 1:300 000. It can be found in all good bookstores and better gas stations. Where can I rent / hire a car? We know car rentals that will bring your car to the hotel at no extra charge, and you can drop it off at the airport when you leave. Contact the front desk, info@nli.is. Should I rent a 4x4? No. For most of the roads in Iceland, it is really not the best way to go. No. Gas/petrol is very expensive, and 4x4's guzzle it, as well as very costly to rent. No. On paved roads and highways 4x4's do not handle well, and are much more dangerous to you, as well as to others. On normal roads, they are less safe than a front wheel drive economy car in 99% of the driving conditions in Iceland. Yes. If you plan to go to difficult to get to locations, and really know what you are doing, then of course, yes. Yes. Iceland is the original rough road country. Yes. Iceland remains one of the few countries in Europe with hundreds of kilometers of real roads that can only be driven on with tough 4x4s. Yes. Rent a 4x4, if you are sure you need it and have the budget. Please see the road conditions map to see if you where you will be going needs a 4x4. NOTE: It is illegal to drive off road everywhere. Arctic earth scars easily, permanently, and you will be fined if you do. There are many wonderful super jeep excursions on the glaciers and into the highlands by skilled drivers and experienced guides. The super jeeps of Iceland are in a category of their own; google "super jeep Iceland" and check them out. Would you like to know where most of the geothermal swimming pools and hot pots in Iceland are? Click here! Check out this Tour Desk with pick-up and drop-off service at the hotel. Or all the tours in Iceland! What can I eat at the Northern Light Inn & Max's Restaurant? From the fjords and fields of Iceland, we serve the best of the Arctic: ocean fresh fish, free range lamb, home baked breads and cakes. Nordic soul food is healthy contemporary cuisine with hearty Icelandic classics, and anything that inspires the chef. One of Iceland's finest smoked salmon, from remote Ólafsfjörður in the far far north, is included in the breakfast buffet – try it the Icelandic way with buttered toast. If you have special dietary needs, do let us know in advance and we will try our best to accommodate your requirements. If you have an early flight, please let us know the day before and we will do our best to arrange and early-bird breakfast. Midnight snacks for late arrivals: e-mail us and we'll have a sandwich or salad ready. 24/7 munchies and snacks are available at the Honesty Bar. What about eating out in Iceland? Restaurants in Iceland may seem expensive to many visitors. The cost of importing goods to a remote Arctic island is very high, we are a very small nation with an equitable economy today that used to be unimaginably poor, so eating out has not been part of our culture. Things are changing – in the past gas station hot dogs for dinner was luxury dining – but now its easy to find a gourmet meal. And gourmet hot dog! Hot dogs (pylsur) in Iceland can be delicious: Baejarins Bestu (Town's best) in Reykjavik is the reference standard. Coke is the national non-alchoholic drink, but traditional bottled malt is an ideal beverage for a pylsur with the works, followed by chocolate-covered licorice. Beer was finally legalized March 1st 1989 - now National Beer Day (yes, we do amusing things) – but only recently have hipster microbreweries sprouted from the heathers. Our favorite brewer Kaldi is from the far north. They're many interesting culinary destinations around Iceland, so please ask and we will try to head you in the right direction. The neighboring fishing village of Grindavík has 5 restaurants (a short drive or long walk), and there is Lava at the Blue Lagoon. Please ask reception for more information / reservations. What Icelandic foods should I try? Skyr, cream, butter and all the local dairy products because of a richness in the milk from Viking stock cows. Pancakes with fresh whipped cream and rhubarb jam, homemade cakes, our many types of fish caught in the cleanest of arctic waters, dried fish with butter. Fermented shark is now just for tourists, but do taste earth baked rye bread, freshly smoked lamb or cured wild fowl meat, Icelandic meat soup, fish balls, and "love balls" (ástarpungar) for a road treat. What is the telephone country code of Iceland? +354 is the Icelandic country code. There are no (area) codes in iceland. How do I call someone in Iceland? From Europe, dial +354, or 00 354 then the local 7 digit number. From North America dial +354, or 011 354 then the local 7 digit number. From your mobile phone, hold the zero down until + appears, then dial 354 and the 7 digit local number. How do I make telephone calls from Iceland? Calling from your room at the Northern Light Inn: dial 9, then the number. For local calls within Iceland, dial 9, then just the 7 numbers. For international calls dial 9, 00, the country code, then the number. What do telephone calls cost from my room? International rates depend on the country you are calling and the time, at hotel rates. Please inquire at reception for specific ISK costs. Can I use FaceTime or Skype from my room? Sure, and anywhere in the hotel with your digital device. Can I use my GSM? Yes, everywhere in Iceland, from the top of glaciers to way out at sea. GSM coverage Map and MAP2. Can I get a free GSM sim card on the plane? Read to go, plug and play. With Icelandair onboard duty free, from the Siminn phone company, with the purchase of prepaid time. Inexpensive, simple, a great deal. Can I buy a prepaid GSM chip or phone in Iceland? Yes! Very Easily! At the front desk of the hotel. No setup issues, zero or modest cost, as it should be everywhere. Prepaid refillable GSM sim chips are available in many shops, but the cheapest are at duty free inside the International airport, and frequently on airplanes coming to Iceland, in addition to Icelandair. Buy a duty free prepaid chip ready to go, or buy a ready to go phone for almost the same price. Kool Note: Unlike most countries, The duty free store at Keflavik International Airport is open to all arriving passengers at the baggage carousel, even very early in the morning, 24/7. If you need to use a phone regularly in Iceland, a local pre-paid sim chip for your gsm phone will save you money. And it will avoid billing surprises, menus in the language of your choice, and world class connections. Is there an automatic international prefix for any number? Yes! Hold your zero down and the + sign will appear, which automatically inserts +, the correct long distance international prefix anywhere in the world. For example, +354 426 8650 is our number dialing from 219 countries and territories, 90% of the world. Can I use my Blackberry? Certainly, if tri band gsm from the US or dual band from Europe. Check with your provider. Does DoCoMo work in Iceland? What is the voltage in Iceland? 220 volts at 50 Hz, like the rest of Europe and most of the world, except for Great Britain which is 240 (if they are part of Europe depends which side of the channel you are on...) The US uses 110 volts, Japan 100 volts with 50 and 60 Hz frequencies depending on the region. The wall sockets in the hotel are for standard Shuko European plugs. What about my laptop, boom box, hair dryer and shaver? 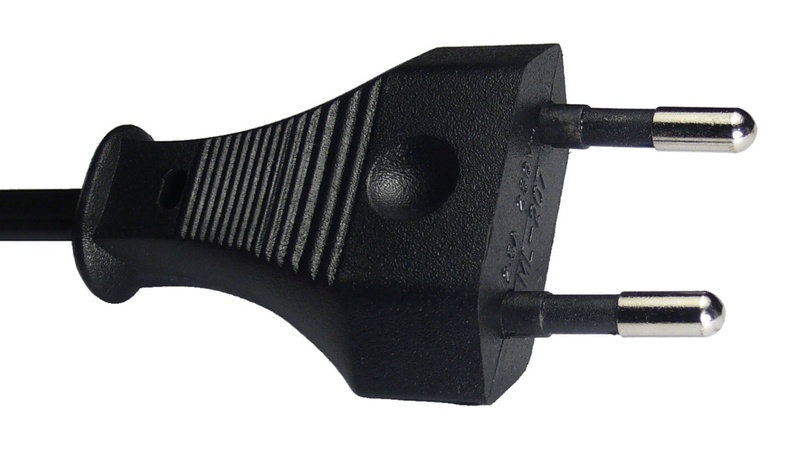 Check the power supply of your appliance. It is usually written in fine, almost unreadable, letters underneath if it is multi voltage. For example: 110~240V. That means anything from 110 to 240 is OK everywhere in the world. IF NOT, then you need a transformer. They come in different sizes, depending on where you are coming from and how much power you device uses. We offer free wireless wifi w-lan throughout the hotel with the fastest bandwidth we can get, and there is a guest's iMac in the lobby for online check-in and boarding pass print outs. Our surrounding area is at the heart of the UNESCO Reykjanes Geopark because of its extraordinary geological features of international cultural value. We are now part of the 66 UNESCO Global Geoparks Network — GGN, one of 2 in Iceland, celebrating the earth's heritage, geo-conservation, and sustainable geo-tourism within local communities. It's one of the best kept secrets around. Please explore, discover and enjoy the Reykjanes Peninsula! Reykjavik city center, especially on the main street Laugavegur, Skolavordustigur – the street going up to the cathedral – the funky flea market Kolaportid in the harbor's old fish warehouse, and the shops around the main squares. Laugavegur and its surroundings have many charming stores. For something Icelandic and contemporary try: Kirsuberjatred off the main square, on Vesturgata 4. 10 to 18 weekdays, 11 to 13 Saturdays. Kringlan and Smaralind are just malls – like all malls, you must drive to them to see the same branded offerings being browsed by Icelanders. What are shops usual opening hours? But it depends on shopkeepers whims. Shops traditionally close Saturday afternoons by 14:00, buts it's changing and the many now have longer and Sunday hours, especially at the mall. Being the land of Independent People, every business and government office keeps its own schedule in Icelandic time. Most stay open until 22:00, and all have good selections. When our fine Icelandic weather is acting up, it's great place to start reading Halldor Laxness – extraordinary work which will enlighten every visitor. If you are new to our Nobel laureate, get ready for an incredible literary experience. Serious Reading. Even when its comic. Sit up and READ, poignant, bitting humor, a writer's writer of sublime craft. Icelandic music is an enormous iceberg with Björk dazzling from the top. One of the best places to discover insiders' tracks is at 12 Tonar on Skolavordustigur 15 - the same street leading to/from the big church with Eymundsson's bookshop and other nice stores. You can listen before you buy without pressure, enjoy a complimentary espresso, and all purchases are VAT TAX Refundable. Music is extremely important to Icelanders, so we have many music festivals during the year. Here are links to 50. Are there elves, trolls, hidden folk, and fairies around the Inn? Max was our golden retriever loved by all, and will be sadly missed. He passed away March 2013. Why Northern Light Inn and not "Northern Lights Inn" ? The light of the north is different, and Icelandic light is even more unusual. The lack of suspended particulates and biomass, combined with extremely clean arctic air. gives the light a sharpness and clarity that can only be seen here. The angle that sunlight enters the atmosphere in the north is acute and dynamically changes the balance of visible spectral colors. How many places are left on earth where you can see half way across the country? Or the Milky Way pulsing so strongly you think you can feel it? Or crisp moonlit shadows? Or moonbows? Or sunrise at midnight? Even in a northern storm the Icelandic light is stunning. The most exotic light is of course the Aurora Borealis, the Northern Lights, also called Polar Lights. We hope you will come to Iceland and enjoy all of our spectacular light, day and night. I am taking my partner on a surprise weekend treat to Iceland: what should we do? Trip Advisor guests very kindly rated as one of the "Top 10 Hotels for Romance — Iceland", and lovingly, we will do our best to keep it that way. Speaking of Romance, should I plan my wedding at the Northern Light Inn? But really, where is Iceland? East of Greenland, west of Norway, north of Ireland and Scotland, just below the Arctic Circle, in the middle of the North Atlantic Ocean, riding a very active volcanic oceanic ridge formed by the separating North American and Eurasian tectonic plates. And right under the strongest global concentration of Northern Lights, The Green Belt, or Aurora Borealis annulus, or Aurora Oval. The northernmost capital of the world is located in southwest Iceland at the beginning of Reykjanes Peninsula, on Faxafloi Bay facing Mount Esja, 45 scenic moonscape minutes from the Northern Light Inn. ISK Icelandic Krona is our national currency (what's left of it), but Visa and Mastercards can be used everywhere. Some think that ISK is short for Intergalactic Space Currency, but only if you are a playing the Icelandic game Eve Online. There is an ATM machine and bank just after customs in the International Airport arrival area, and ATMs everywhere in Iceland if you desperately need to burn a hole in your pocket and possess a non convertible currency. What language(s) do Icelanders speak? Icelandic, which is almost Old Norse, the language of the Vikings. During your visit do not to worry about being able to conjugate everything 16 times, including your mother, your horse, or even your name and address, because almost everyone here speaks English very well if not fluently, and frequently a third, or fourth language if you prefer. Icelandic is a very entertaining language and one of the root languages of English, if you had any doubts of the etymology of words like berserk. Didn't you always want to know where the word berserk came from? For polyglots start learning Old Norse here. A definitive study is Viking Age Iceland by Jesse Byock; the rest is a saga and a search engine away. You can download an e-version for free legally, as well as essential Sagas, from Overdrive.com here, which syncs with thousands of public libraries all over the world. Just for the record, there were never any Vikings in Iceland. Nordic pioneers of the Viking age, yes, with their Celtic slaves, but Vikings. There is nothing to raid in Iceland, and its too far from any place to raid. Iceland founded by Vikings is a mythical distortion of the facts. How old is the lava? The Holocene Svartahraun lava field surrounding the Northern Light Inn dates from 1226. The oldest lava in Iceland is estimated to be 14 million years old, and the newest is Holuhraun fissure, flowing right now from Bardarbunga volcano in the north. Very post Jurassic. "Molten rock below the surface of the Earth that rises in volcanic vents is known as magma, but after it erupts from a volcano it is called lava." Are there any wild animals in Iceland? Some arctic fox, reindeer, many fascinating types of migratory birds. No polar bears, but occasionally they float across the arctic ocean on ice flows from Greenland. When they get here, they are not happy campers, angry and dangerous, so unfortunately meet their demise. Puffins can be seen all around Iceland's coastline during the migratory season from May to mid August. The puffin population is tragically in a steep decline. Now one knows what will happen next year. What is the best source for unusual information about Iceland? For example: How many words for the devil are there in Icelandic? (61) or why are there no mosquitos in Iceland? How can I be alerted about Aurora activity? Please add your room number to the call list at the front desk. Does solar activity increase the chance of seeing the Aurora? Solar flares, bursts, and CME Coronal Mass Ejections and explosions greatly increase chances of seeing the Aurora. Are there Aurora Forecast apps? What are the stars and constellations behind the aurora? This is our favorite SkyGuide that can show you. It works without gps or cell networks, so its great for remote places, like Krysuvik. Is the Aurora Oval and the Arctic Circle the same? No. The Aurora is not parallel or directly related to the Arctic Circle, but their paths do cross. The word arctic means "bear" in ancient Greek. It refers to the constellations of the Great Bear and Little Bear, which you can find in the night sky near the North Star. The North Star, currently Polaris, in the Alpha Ursae Minoris, or Little Bear Constellation, is also known as the Lode Star or Pole Star, and is part of the Little Dipper, 431 light years away. A concept. The Arctic Circle is an circle of latitude drawn by mapmakers at 66° 33'44" north (depending on the earth's wobble) the northernmost point where you can still see the sun on winter solstice, the shortest day of the year, December 21, if you were looking south. It is the same point where the sun does not set, remaining visible on the horizon at midnight on the longest day of the year, summer solstice – June 21. The Arctic circle is moving north at an average rate of 15m per year. Where is the Arctic Region? The Arctic Region is the area where the average temperature is below 10º C during the warmest month of the year, July. The Northern Light Inn is in the southern region of Iceland, still part of the North Temperate Zone, which extends south to the Tropic Of Cancer. The Tropic of Cancer at 23.5º N is the farthest north that the sun can appear directly overhead, and the title of Henry Miller's novel. In Iceland, we say the Arctic Circle runs through the middle of priest's bed on Grimsey Island, north of Akureyri. But not for long. Compare the Arctic Circle vs Arctic Region: the circle is the dotted blue line, the region is the red line. The electrons are energized through acceleration processes in the downwind tail (night side) of the magnetosphere and at lower altitudes along auroral field lines. The accelerated electrons follow the magnetic field of Earth down to the Polar Regions where they collide with oxygen and nitrogen atoms and molecules in Earth’s upper atmosphere. In these collisions, the electrons transfer their energy to the atmosphere thus exciting the atoms and molecules to higher energy states. When they relax back down to lower energy states, they release their energy in the form of light. This is similar to how a neon light works." The aurora typically forms 80 to 500 km above Earth’s surface. Earth’s magnetic field guides the electrons such that the aurora forms two ovals approximately centered at the magnetic poles. Aurora comes in several different shapes. Often the auroral forms are made of many tall rays that look much like a curtain made of folds of cloth. During the evening, these rays can form arcs that stretch from horizon to horizon. Late in the evening, near midnight, the arcs often begin to twist and sway, just as if a wind were blowing on the curtains of light. At some point, the arcs may expand to fill the whole sky, moving rapidly and becoming very bright. This is the peak of what is called an auroral substorm. Then in the early morning the auroral forms can take on a more cloud-like appearance. These diffuse patches often blink on and off repeatedly for hours, then they disappear as the sun rises in the east. The best place to observe the aurora is under an oval shaped region between the north and south latitudes of about 60 and 75 degrees. At these polar latitudes, the aurora can be observed more than half of the nights of a given year. When space weather activity increases and more frequent and larger storms and substorms occur, the aurora extends equatorward. During large events, the aurora can be observed as far south as the US, Europe, and Asia. During very large events, the aurora can be observed even farther from the poles. Of course, to observe the aurora, the skies must be clear and free of clouds. It must also be dark so during the summer months at auroral latitudes, the midnight sun prevents auroral observations. Solar winds carrying charged plasma particles-free electrons and protons traveling between 400-1,000 km/sec (1,4M ~3,6M Kmh, 900K ~2,2M mph) and has been recorded at 10,000 km/sec. It take about one day to reach earth, collides with the magnetosphere, and upon a magnetic reconnection of the solar wind's passing tails, the energy snaps back and charges gas atoms and molecules in the upper atmosphere concentrated in the geomagnetic fields. The energy is released by quantum leaps which generate light: oxygen produces mostly green light, and nitrogen red light. Other solar wind streams are milder and slower, taking 7-10 days to reach the earth. The Aurora Borealis generates up to an estimated one million megawatts of magnetic energy. Excuse me, but how did they calculate that? Please read this wiki page. Please compliment your webmaster for your outstanding website. Wonderfully detailed, that kept me smiling throughout the read. Awesome stay in the most homely hotel. Easter eggs were a nice touch. Blue Lagoon in April was amazing! Thank you Iceland - we had an amazing time here. I hope my 3 children will revise this island when they grow up. Another incredible trip to this incredible country. We absolutely love Iceland and its people. Thank you for giving my daughter and me the most memorable trip. We have had a lovely stay. Room was lovely, warm, snug. Staff always friendly, even letting us know when the northern lights were up. We feel so lucky + fortunate to seeing them. Trip to Blue Lagoon Excellent! Wonderful stay – great service – would love to visit again. Thank you Northern Lights Inn for the amazing and unforgettable Iceland trip. Your warmth and hospitality will always be remembered. Sarah,Lisa + Lyoh would like to say a HUGE THANK YOU! For making our 1st visit to Iceland magical. Food was amazing, lovely room & views. Will 100% stay again. PS The lamb & cod was incredible! Group trip of 8 for 30th birthday. Had an amazing time–lovely enthusiastic staff. Special thanks to our driver 24/2 & northern lights info! & Waiter 26/2 who was INCREDIBLE. Hats off to the chef!! Amazing lamb and salmon. Thank you so much for a wonderful visit! The hotel + staff are amazing + helped make our Iceland trip the Best it Could Be. Bikes area defo great idea! And we had a blast on them. We already can't wait to be back! I am a traveller and Love to travel with a tripod and 2 of my cameras. Iceland is the best place I have been to in whole of Europe. Northern Lights Inn is the best place to stay to see the Lights. I have been here for 2 days and spotted lights both the days the days sitting in the entrance of the hotel. The Northern Lights Were Spectacular! Thank you for the amazing stay at the Inn. We had a blast visiting your country. [text in Chinese] The last station in Iceland! We had a wonderful journey around the island. Thank you for the specially prepared breakfast for our early flight. Thank you for a Wonderful , Too Brief Stay at Your beautiful Hotel—I Loved My Uninterrupted Views of the Lava Fields! Great Country + Great People — I Can't Wait to Return! We were lucky to be able to see the Aurora in our first here to Iceland. Thank all the people here in the hotel for the great time. We hope that we will have the opportunity to stay here again, soon. Sono stato qui con il mio compagno e spero di ritornare a presto per l'aurora! Sono stato benissimo. Beautiful Place. We Love it. Had a wonderful time, perfect sleep; it's a very nice hotel. Perfect stopover at the Blue Lagoon. Thank You! The perfect Relaxing place with a visit to the Blue Lagoon. Thank you for a wonderful first day in Iceland! What a wonderful introduction to Iceland! Stupendous hotel — food, staff, service all brilliant. I look forward to the Northern Light Inn every summer. Viel Dank für die schöne Zeit, das gute Essen und die liebevolle Unterstützung, wann immer sie nötig war. Thank you for amazing accommodations! A very nice inn with fantastic service. The bedrooms were very comfortable. We are having a wonderful time — looking forward to the Blue Lagoon. Wonderful service — & we are enjoying our room and had a great dinner! Nice people — great service — Thank you so much, we needed the help and got it. Thanks for the best stay of my life! Iceland and the Blue Lagoon was awesome! I also had an awesome dinner! The view is great! Fabulous location, excellent hotel & lovely food, not to mention within walking distance to the Blue Lagoon. Excellent séjour. Super accueillant et comfortable. Tout par être mieux que chez toi. We had a wonderful time here. The staff is truly special! We really enjoyed our few days at the Northern Light Inn. Everyone here is so friendly and accommodating. It was service with a smile and nothing was ever too much trouble. PS The food was great too! Thank you so much for a wonderful time at the Inn & also Iceland. Thank you for your help & kindness all the way. I'll return and I wish you guys all the best. This was our second stay. We love it here! We brought the whole family and to be back again soon! We've been up for 34 hrs. Forgive us our Brain is in the Deep Freeze. However, Your Welcoming & Warm reception, Attention to Guests and Wonderful food plus Blue Lagoon has revived us to continue on to our next leg of our trip. And you guys opened the restaurant at 4:30 AM to take us to the airport is like Angels taking care of us. Kirk & Gay, Washington USA! What a wonderful stopover in Iceland. Thank you so much for your hospitality! We will be visiting again soon! Hallo NLI! You do wonderful job! Thank you for an amazing first night in Iceland! This was the perfect place to begin our week long adventure. Your inn provided us with a peaceful and comfortable setting post traveling from the US. Our stay last night was wonderful! The Sunday Roast dinner was delicious ~ thank you so much for staying open late for us. tour cook is fantastic and such a pleasant hostess. We hope to be back some day. [Salutations in Greek] You are all blessed and the BEST. I don't want to leave. I could live or die here. Thank you. Thank you for showing us what Iceland is all about! Much appreciated. Fab site, lovely, comfortable hotel. Excellent restaurant meal, v. tasty. Breakfast also good. Loved your hotel + Iceland. We'll be back. Thank you for a lovely weekend. A wonderful place to stay, with wonderful people and a wonderful country: we will definitely be back. Beautiful! WE loved our evening and all your help organizing. Thank you! Splendid night in Northern Light Inn! With Northern Lights on or last evening in Iceland! Gorgeous Inn Filled with wonderful People! Thank you! We treasure our guest books which we have kept since the original hotel was founded by our family in 1983. Thank you for very very much these thoughtful and kind words! If you have any wonderful tips and quirky anecdotes you would like us to share with other readers, we thank you in advance for emailing them to us! Please contact us if you would like to use any image or text. Text, photographs, and design are copyrighted © Brooks Walker for Northern Light Inn, unless stated or linked otherwise. Any errors and/or omissions will be corrected asap: if something catches your eye, is out of date, or in any way wrong, please please email Brooks.